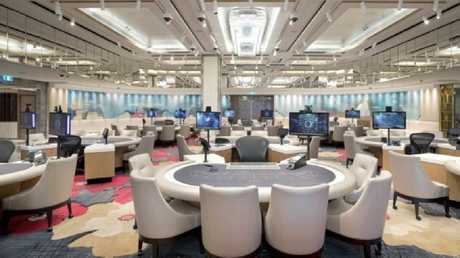 IT'S the high-rise, highrolling luxury side of The Star most people will never see - exclusive new VIP gambling "salons" on the Gold Coast, where wealthy whales bet up to $600,000 a hand and splashed more than $6.8 billion in six months. The listed group revealed its Broadbeach investments had paid off in the first six months of the financial year, driving an 88 per cent increase in VIP turnover for Queensland. The Gold Coast's strong performance was offset by a 49 per cent fall in Sydney which saw the group's overall VIP turnover for the six months drop to $20.7 billion - 33 per cent down on the prior corresponding period. Net earnings at the group's Queensland businesses were up 23.5 per cent on the same time last year, with visitation to The Star Gold Coast up 11.8 per cent. 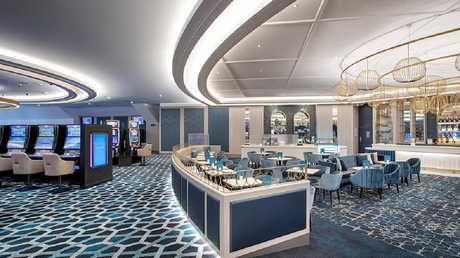 The blossoming Broadbeach casino launched three new levels of VIP treatment in the first half of the financial year. The Darling, Broadbeach infinity pool. Which room a guest visits depends on the size of the customer's bank balance and their appetite for risk. 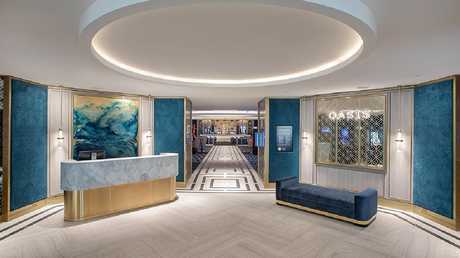 The offerings start at the "business lounge" option of the Oasis, which opened in December to provide well-heeled guests a higher level of comfort than available on the public gaming floor. Stepping up from there is "first-class lounge" The Sovereign, which occupies the entire floor below trendy bar-restaurant combo Nineteen and is equipped with gaming tables overlooking the sea and top quality service from attentive staff. Guests at The Sovereign, who typically bet between $50,000 to $100,000 per hand, can also dine at the Gold Coast's only restaurant which is completely closed to the general public. 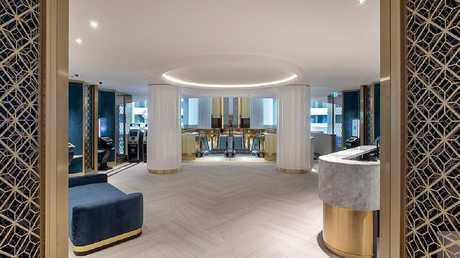 However the serious money comes from the private "VVIP" salons - the ultra exclusive, uncompromisingly luxurious suites where The Star reaps more money in a day than most people see in a lifetime as guests put down up to $600,000 per hand. 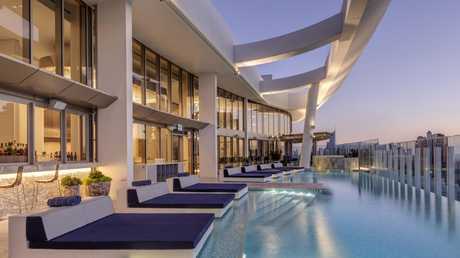 The Gold Coast resort attracted 10 per cent more new customers than for the same time last year, however a five-year high house win rate meant the punters walked away sooner than they ordinarily would have. Star managing director and CEO Matt Bekkier said the Gold Coast redevelopment had deliberately set out to attract premium gamblers which had never visited the city before. 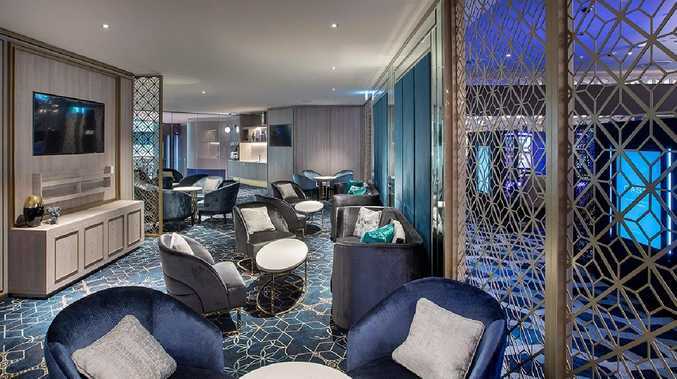 "When we did the investment in The Darling and provided the gaming salons, it was deliberately done to deliver the premium customer to the Gold Coast - a premium customer we hadn't been able to deliver in the past," he said. "A lot of the customers we're seeing now are from South East Asia and interstate. "The feedback we're getting is that these are the best gaming rooms in Australia - and we're very happy with that." The Star Gold Coast attracted 10 per cent more new customers than for the same time last year, however a high house win rate meant the punters walked away sooner than they ordinarily would have. "We are exposed to big players and some of them are not playing for as long as they normally would," Mr Bekkier said. "In the VIP business, if you lose very quickly, you don't bet very much."